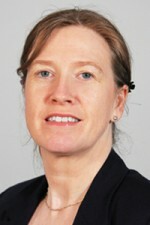 Michele has been a Consultant Radiologist at St Mark’s since 2001. As clinical lead for St Marks’ radiology she has overseen the continuing development of this internationally renowned department. Whilst all our radiologists share responsibility for specialised imaging in all areas of our practice, Michele’s particular expertise and interest lies in the imaging of complex intestinal disease. A major interest in ultrasound includes it’s use in children with inflammatory bowel disease to provide ongoing monitoring of disease in a child friendly environment, as well as maintaining a lead in pelvic floor imaging and ultrasound in the assessment of incontinence. Michele is also Clinical Director for Radiology interfacing with the executive team at North West London Hospitals and ensuring radiology services are provided to the highest standards across the local community.